Rheumatoid arthritis is a chronic inflammatory disorder that can affect more than just your joints. In some people, the condition also can damage a wide variety of body systems, including the skin, eyes, lungs, heart and blood vessels.An autoimmune disorder, rheumatoid arthritis occurs when your immune system mistakenly attacks your own body’s tissues.Unlike the wear-and-tear damage of osteoarthritis, rheumatoid arthritis affects the lining of your joints, causing a painful swelling that can eventually result in bone erosion and joint deformity.The inflammation associated with rheumatoid arthritis is what can damage other parts of the body as well. 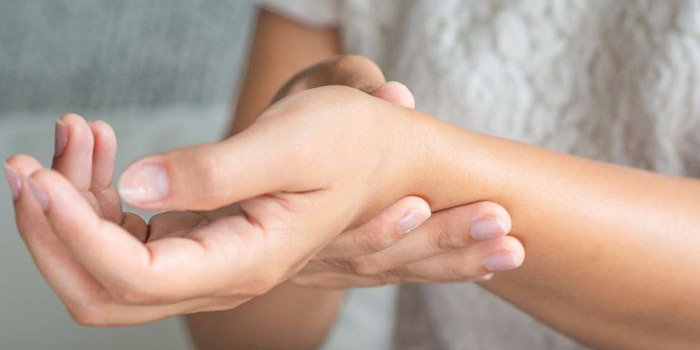 While new types of medications have improved treatment options dramatically, severe rheumatoid arthritis can still cause physical disabilities. Symptoms of rheumatoid arthritis include swollen joints, fatigue, fever, weight loss, joint stiffness that is usually worse in the mornings and after inactivity. About 40 percent of people who have rheumatoid arthritis also experience symptoms that do not include the joints. These areas include skin, eyes, lungs, heart, kidneys, salivary glands, nerve tissue, bone marrow, and blood vessels. Treatments include various medications such as nonsteroidal anti-inflammatory drugs (NSAIDs), steroids, disease-modifying antirheumatic drugs, biologic agents, therapy, surgery, and lifestyle/home remedies which include exercising regularly, relaxing, and applying heat or cold to ease pain.